It’s summer, time for outdoor grilling and lots of salads! 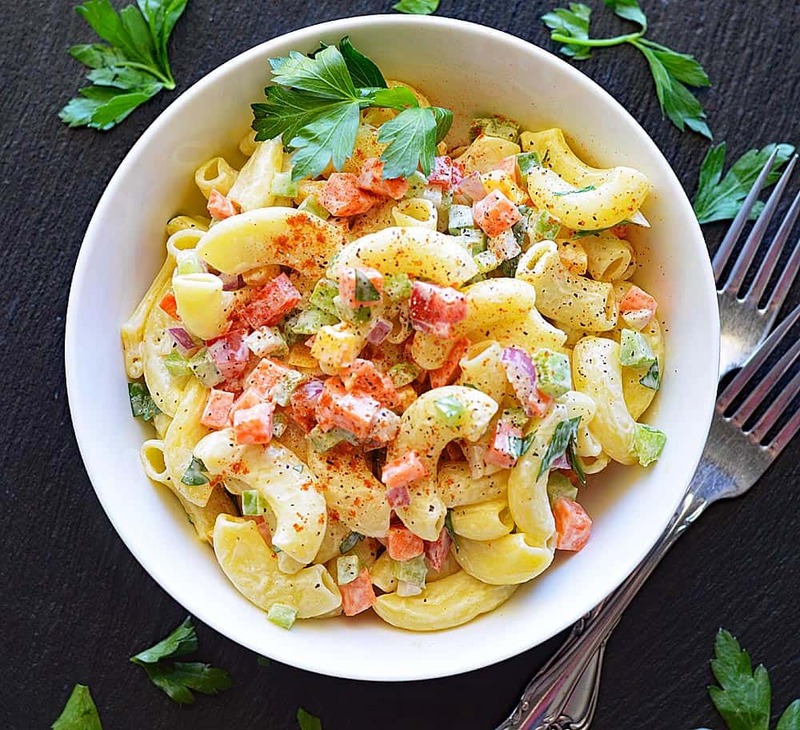 One of my favorites is this Classic Vegan Macaroni Salad. In the old days, we would add a few non-vegan things, but you can get creative here by adding hearts of palm or even avocado on top! 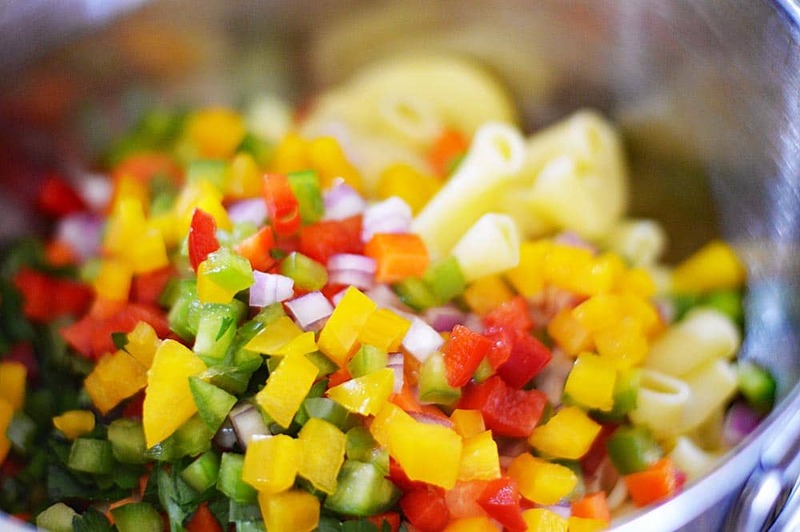 For veggies, I use a colorful blend of red, green and yellow peppers, red onion, celery and of course, carrots. I’ll add chopped parsley and season with salt and pepper to taste. To bind, I use only mayonnaise just as my grandma and mom did when I was growing up! Some things need to remain classic since I am veganizing this recipe 🙂 Thankfully, there are some great vegan mayonnaise products out there. My new personal favorite is Best Foods VEGAN. For a final touch and a bit of added flavor, I give the salad a sprinkling of paprika. Love paprika! 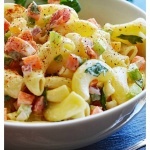 I also love this “macaroni” salad with Cavatappi noodles … my absolute favorite. They just have a bit more texture and really hold the other ingredients well. I’m also known for doing this one with mini penne pasta as well. 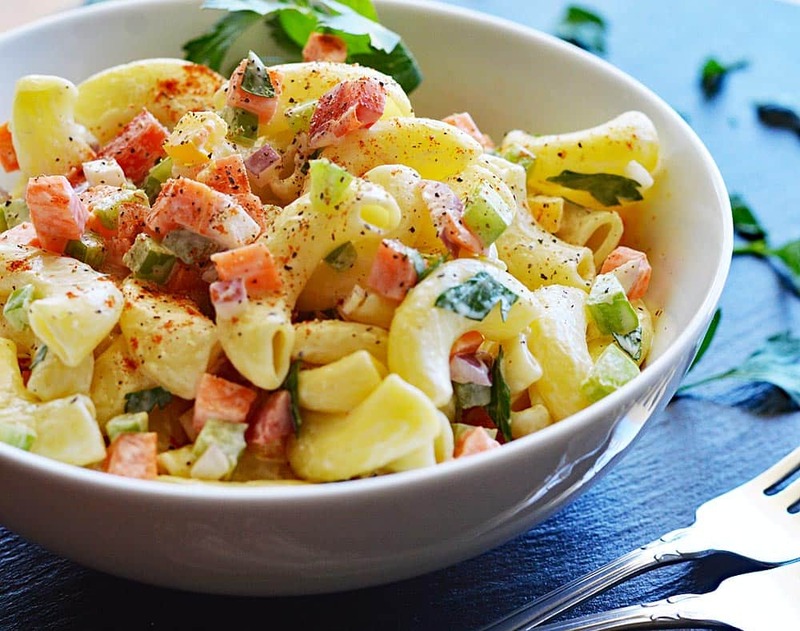 Did you make this recipe for Classic Vegan Macaroni Salad? Let me know in the comments section below. 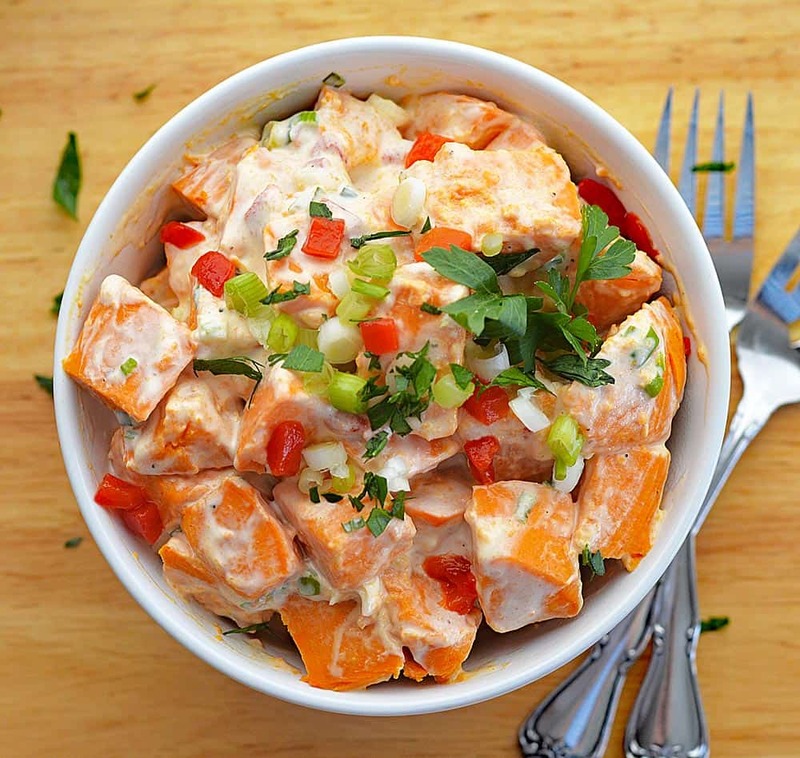 Also, be sure to check out this new recipe over on my sister site Living Vegan for Creamy Vegan Sweet Potato Salad! Boil your choice of noodles according to package instructions. Meanwhile, chop all of the veggies that you will be using and combine with 1/2 c of vegan mayonnaise to start. You can always add more later. Drain the pasta and allow to cool. I usually spread it out on a plate to expedite the process. Now, just combine the pasta and the veggie/mayo mixture. Taste for seasoning and garnish with a sprinkling of paprika and chopped parsley. Get creative, add ingredients you love! Yay!!! Thank you!! ? I’m making your salad again for the party I’m going to tomorrow, everyone will love it! !